occasion. So here is a follow up of the same. These categories have various sub-categories to choose from. personality and price range of gifts. It’s cool. However, there were some results like Personalized Tees for Him, which I found out of my search category. I browsed Giveter with other options and categories and was happy with this. Simple and clean User-Interface, designed with focussed target market makes this website worth using. I would certainly come back to it on next gifting occasion. 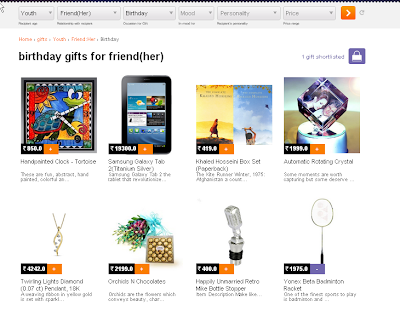 Presently the website has 2500+ gifting products which would certainly increase in future. Awesome site !! It will solve a big problem of deciding gifts ! Startups Media. Awesome Inc. theme. Powered by Blogger.